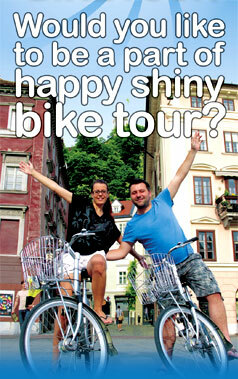 During our sightseeing through Ljubljana we will feel (and see) sun, water, air and freedom... Besides that we will see many attractions in the city center and surroundings. Join us and get in touch with pure sunrise energy and nature with interesting sights not far from Ljubljana. Bike and hike with us to the most popular hill just on the outskirts of Ljubljana, where we will enjoy amazing view and tasty Slovenian meal.